I love the amount of events for children in Japan. Everything focuses so much on pleasing children, educating them and allowing them to get as much experience as they can out of the world. While I was on my way to a store I came across one of the events that a nearby city was holding. 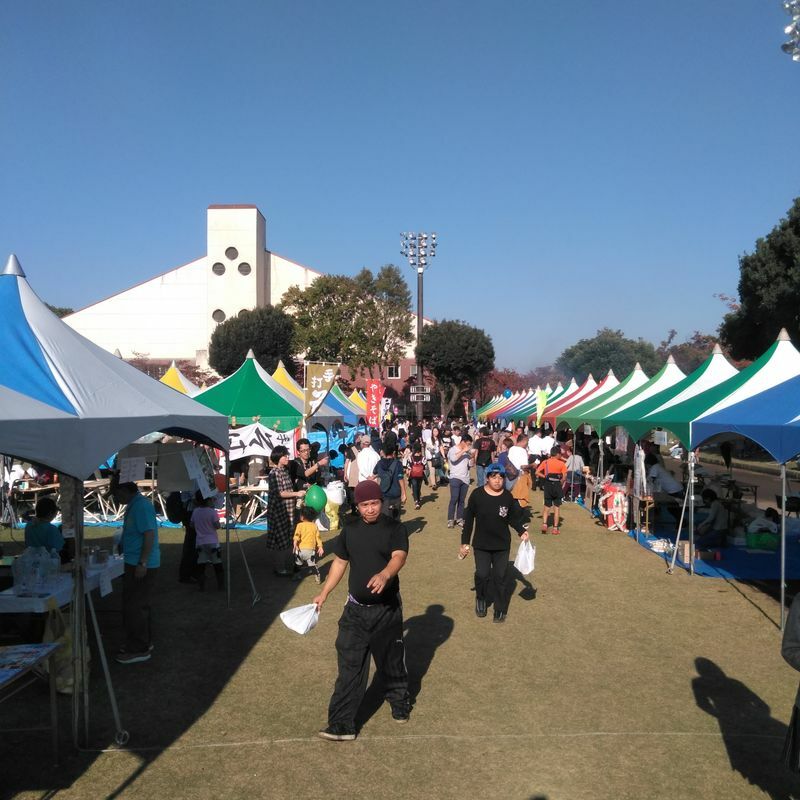 It was a sports event, however it was also mixed with concert performances, a flea market and entertainment for little kids. There was so much going on that I really regret having only stumbled upon it in its last few hours. It was a two-day event so there were a lot of performances that my son would have enjoyed. One of these included a Kamen Rider sort of Power Rangers performance on the event's main stage. 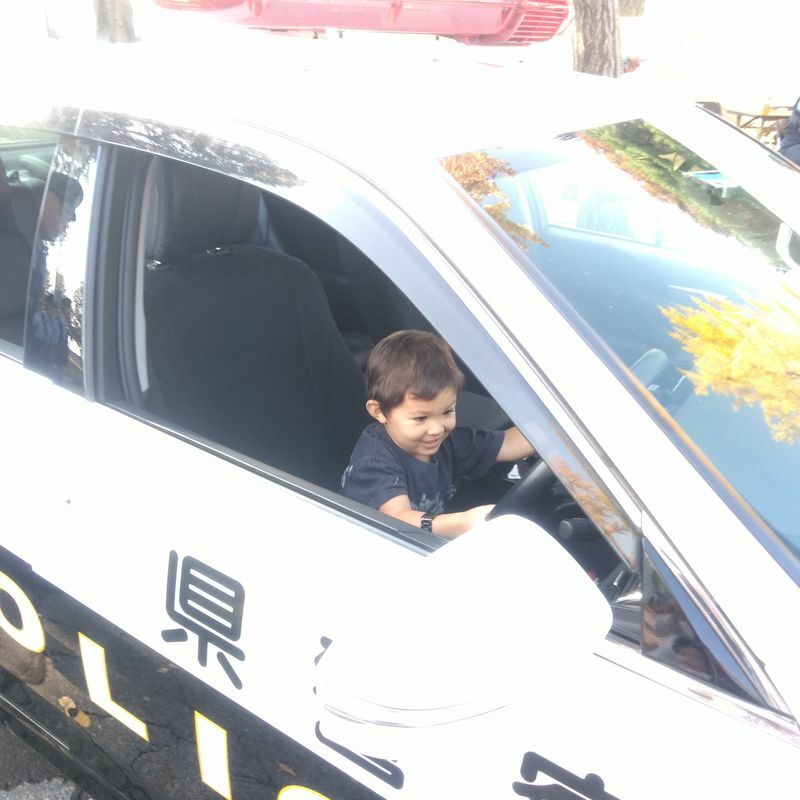 But my son was able to enjoy it riding on miniature fire trucks while dressed up as a fireman as well as climbing on a police bike and in a patrol car. After we enjoyed all of the festival foods and a few of the games like ball toss I let my son play in the playground. The whole event was set inside of a very large sports park that has a gymnasium, several stadium soccer fields and other things of this nature as well as a few different playgrounds. 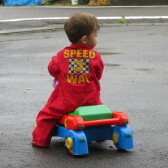 Well, my son was trying to make friends with some of the many Japanese children there, all about kindergarten age, and experiencing for the first time what I've been dreading with having a very non-Japanese looking child. Aside from the children actually playing with him and including him in their games, there were still those that refused to speak to him like a person and instead just telling home about that really irritating song that's popular right now called "the USA." Even after trying to explain to the children that he just wanted to play with them and they can speak to him in Japanese they still refused and all started laughing and singing again. Luckily my son, being so young, didn't understand and was mostly happy to just play in the sand after giving him a toy. I still know, however, that he looked rejected when the other kids didn't play with him. I fear for when he gets older and starts to realize what's happening to him, but I hope that I'm able to prepare him for it and he's able to grow as a person, and realize he is a person. Once that does belong in this society even if not everyone treats him in that way. I'm hoping one day he'll be able to accept this as part of himself and build it into his identity in a positive manner, but until then I'm just a little worried.